- Set the Page properties (for example) to 1024x768 (note that the height doesn't really matter). - Add a vertical ruler guide and move it to position 1024. 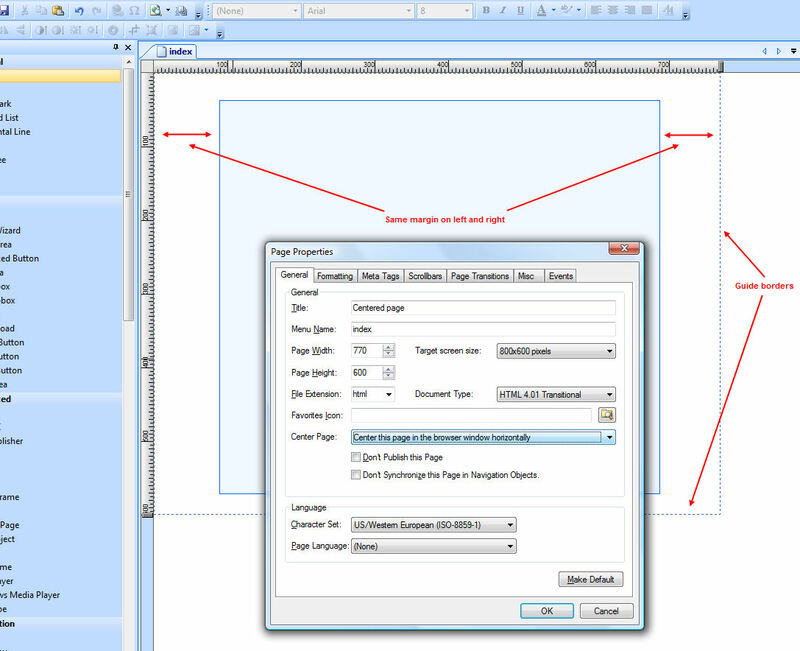 Note that all content of the page will be centered within the page width you've specified. So if the content if wider than 1024 pixels then you should also increase the page width properties. Most of these templates stay centered in the browser window, no matter what window size or resolution. Re: How do I center my page in the browser? See also this related FAQ: How to add full width header and footer to your pages?